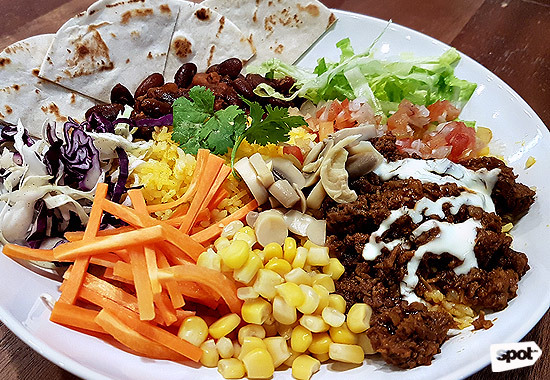 Hot, hot, hot Mexican food! 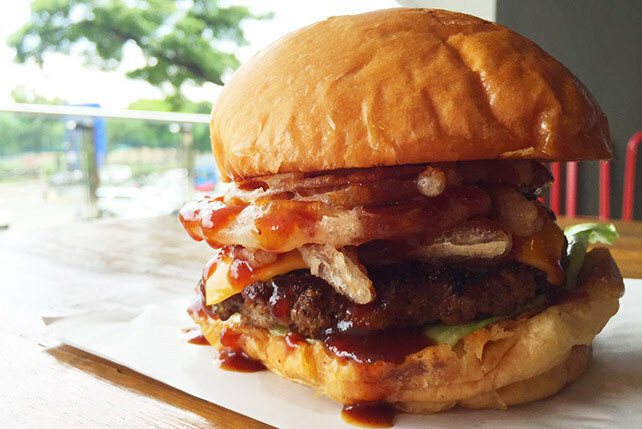 Open daily from 4 a.m. to 1 p.m. and 5 p.m. to 2 a.m.
(SPOT.ph) You would think that finding a good food hub or two along massive Commonwealth Avenue is easy, but it's a pretty difficult endeavor. 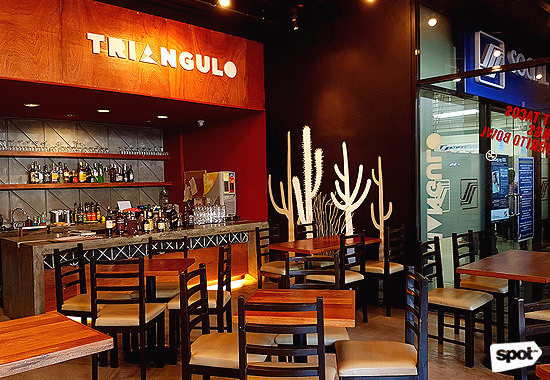 Keep your eyes peeled: The yummy stuff is in the nooks and crannies, like Triangulo, a new stop slightly out of view from the highway and camouflaged by the nondescript building it's housed in. Smack in the middle of Pag-Ibig and SSS offices, finding it feels like digging up a gem. 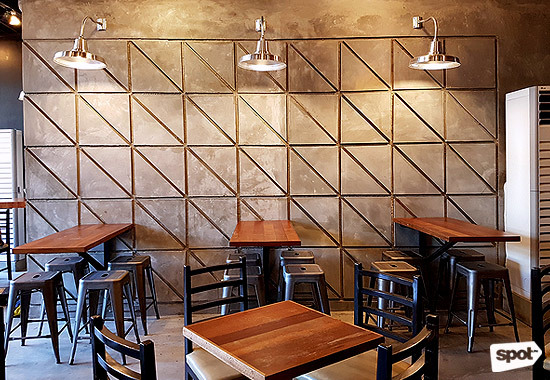 Its modern industrial interiors set it apart not just from the other eateries in the area, but also from other Mexican restaurants in the Metro. Triangulo is one of the new ventures of Sam Lim and Kriska Santos, the couple behind Antipolo’s Eggs for Breakfast. Sam, who has a culinary arts background and experience in food photography, handles the cooking and creative side; Kriska is in charge of marketing. They work with their friend and business partner Jeff Chan, who handles the financial and administrative aspects. The idea for Triangulo came from Sam. He suddenly developed a taste for spicy food, anything with chili, and Mexican food. 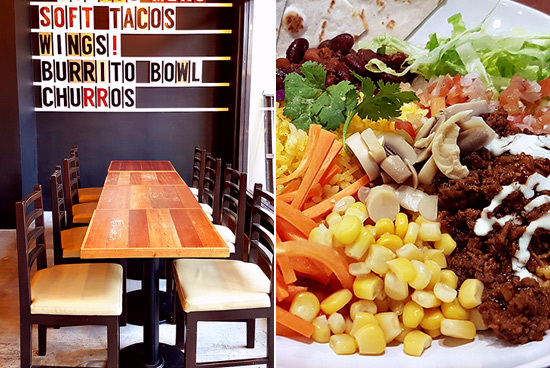 His newfound fondness prompted him to create a taqueria in the north as an answer to all the ones that have popped up in the south. The very hands-on Sam has a basic rule: Everything has to be made fresh and reheating is not allowed. The attention to detail shows in their food. The kitchen doesn't skimp on anything. 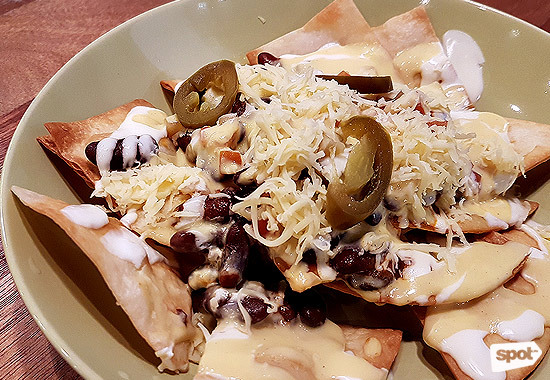 For instance, the Nachos (P195) feature homemade tortilla chips topped with a generous pile of red beans, pico de gallo, homemade cheese sauce, and sour cream. 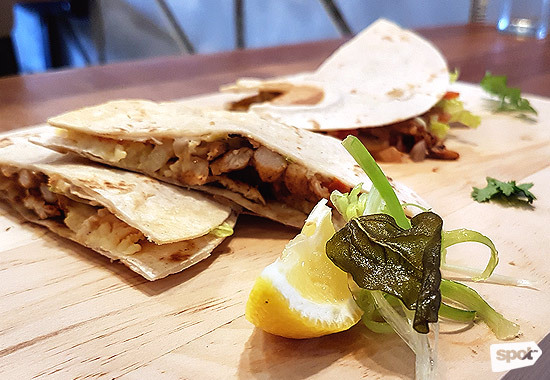 The Grilled Chicken Quesadillas (P250) make for a complete meal in itself, with homemade tortillas and a substantial amount of smoky chicken that doesn’t need to hide under a dollop of sour cream or any other dressing. 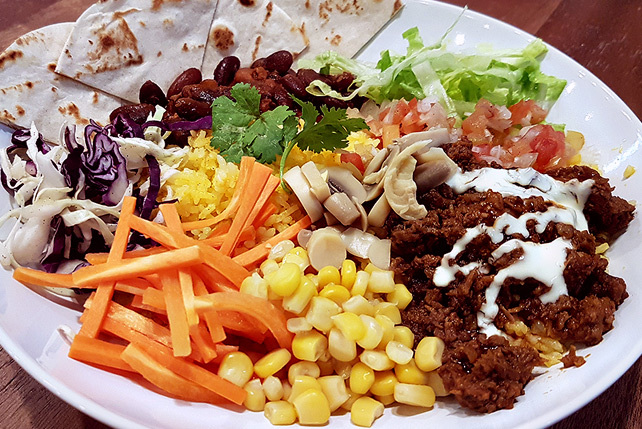 Their burrito bowls are among their most popular offerings; the Slow Roasted Beef Burrito Bowl (P240) comes out as the bestseller. Think of it as a deconstructed version of your favorite Mexican dish. 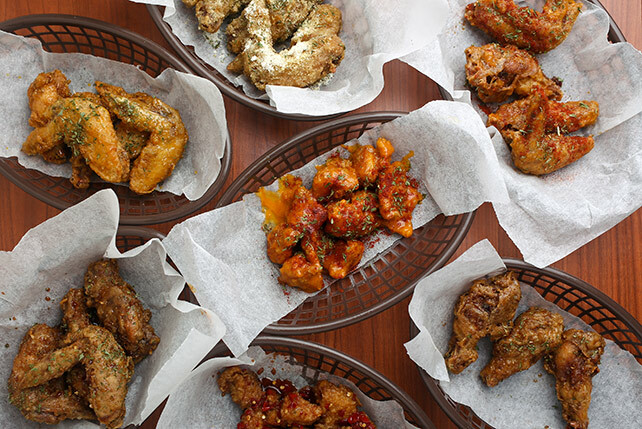 Mix everything up, take a bite, and enjoy a medley of taste and texture. The beef is incredibly tender and its flavor rightfully stands out among all the ingredients. If you’re not in the mood for meat, you can always choose the Grilled Fish or Garlic Shrimp with Capers. These flavors are also available as soft tacos. 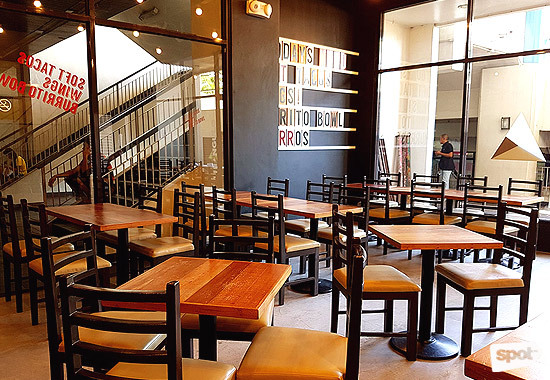 Because of Sam's obsession with hot food, Triangulo allows customers to customize the heat level of their tacos, burritos, wings, and quesadillas from Mild to Spicy to Suicide to Diablo. The second level is enough to make you sweat a little. Cool down with their two dessert options. 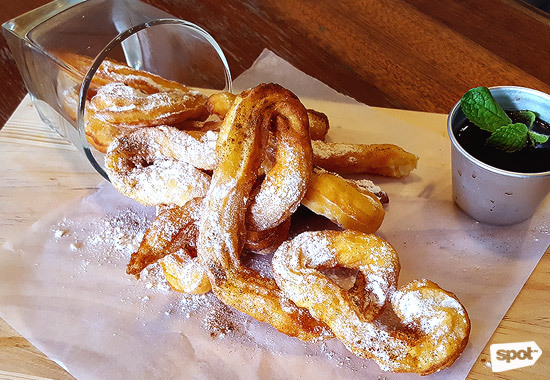 The Churros with Dark Chocolate Dip (P95) is freshly made and the small pot of dark chocolate flaunts refreshing mint. Absolutely sinful. The Brownie a la Mode (P190) is unusual, but you will forgive the thematic inconsistency. 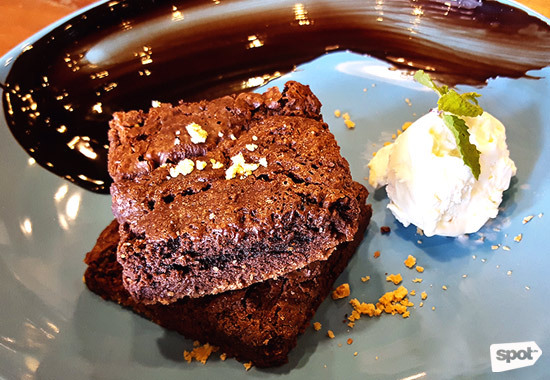 The brownie is crisp on the outside and fudgy on the inside, and it’s a sweet end that balances out the spiciness and the richness of your meal. Triangulo is gaining traction fast. This restaurant is hot, and in more ways than one.